Blueberries are very popular fruit, both for their taste and the vitamins they contain. 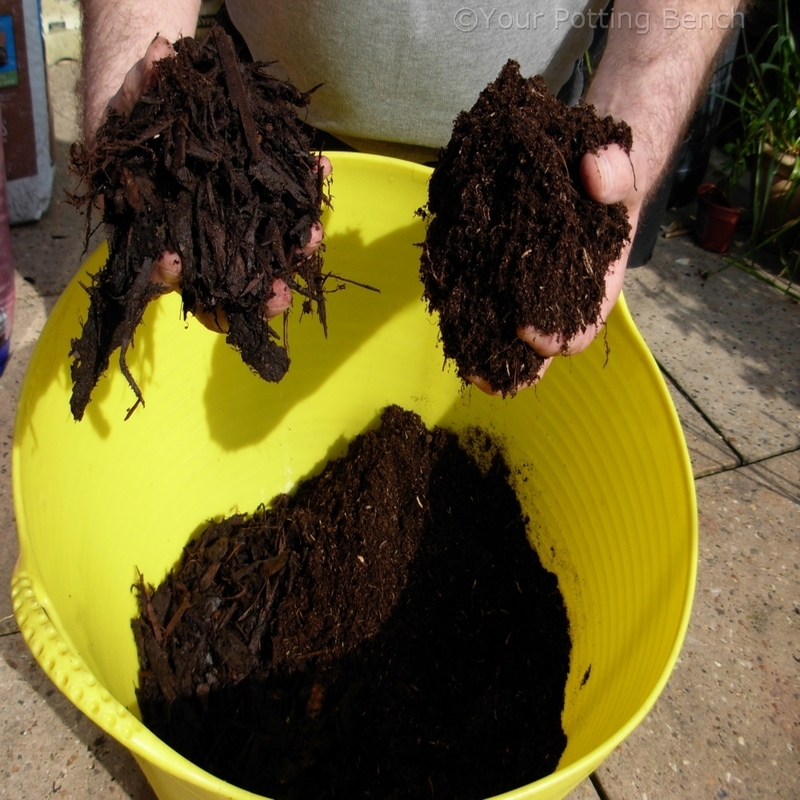 They like to grow in well-drained acidic soil, so if your garden soil is unsuitable, you will need to use a container to provide the ideal conditions. 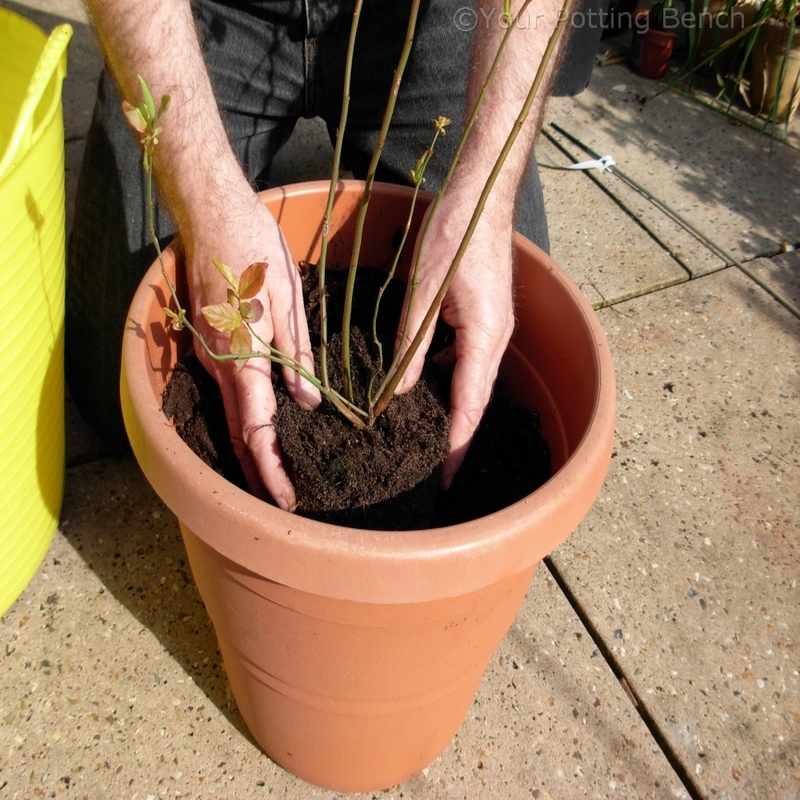 The plant you buy will probably be in need of potting immediately, so have everything ready. A solid rootball packed with roots is a sure sign. 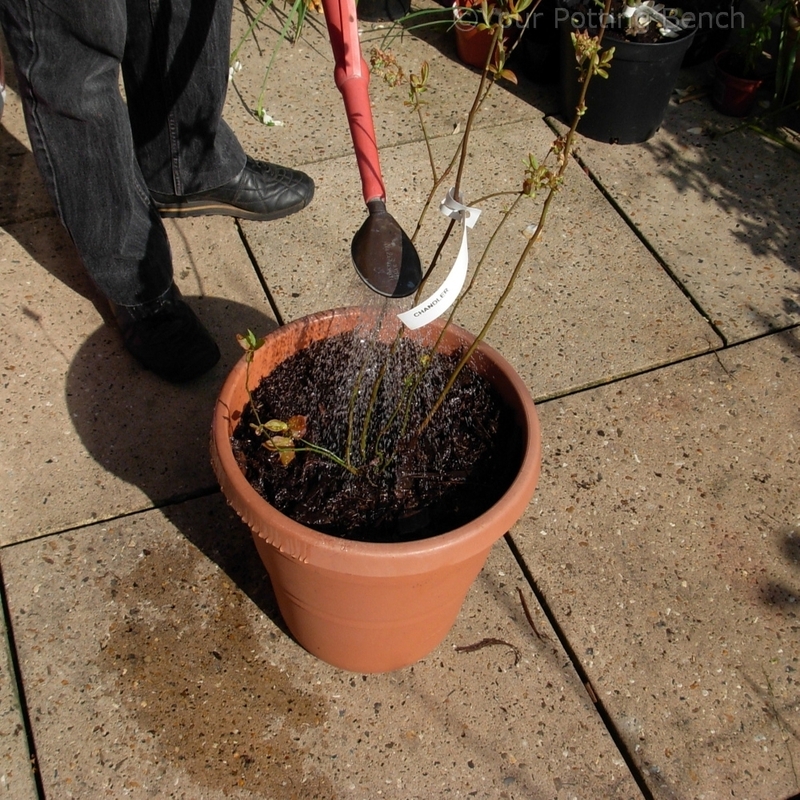 In a separate pot or tub, mix together Ericaceous compost and shredded bark in a 50:50 ratio as your potting mix for the blueberry. Position the plant so its original compost surface is just covered by the new compost. 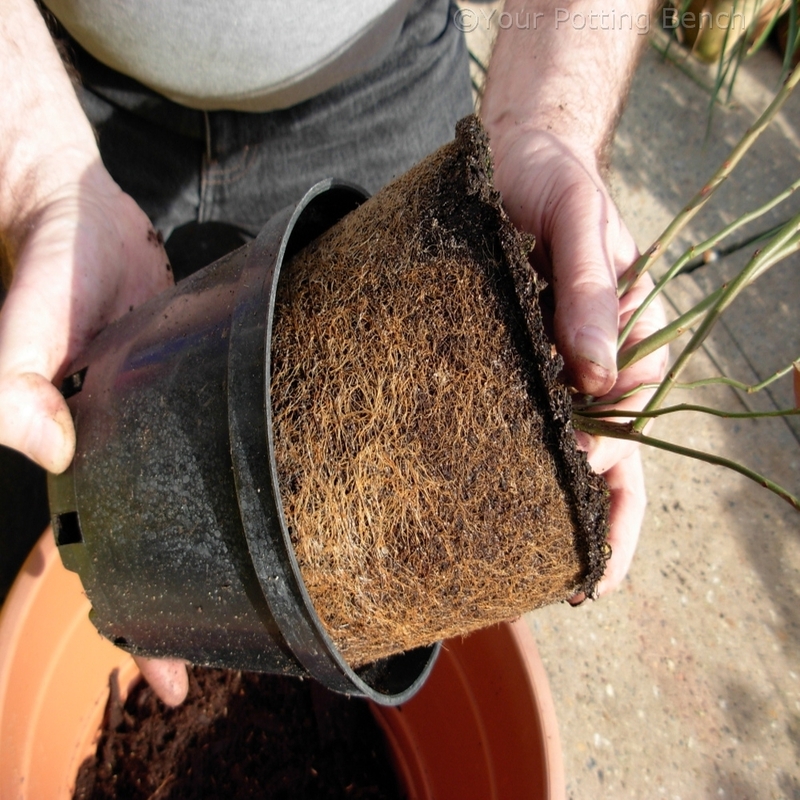 Firm the new compost gently around the rootball as you fill the pot. Water well to settle the compost and allow to drain. Use rainwater rather than tap water if you live in a hard water area, as the extra calcium each time you water will gradually raise the pH in the pot.